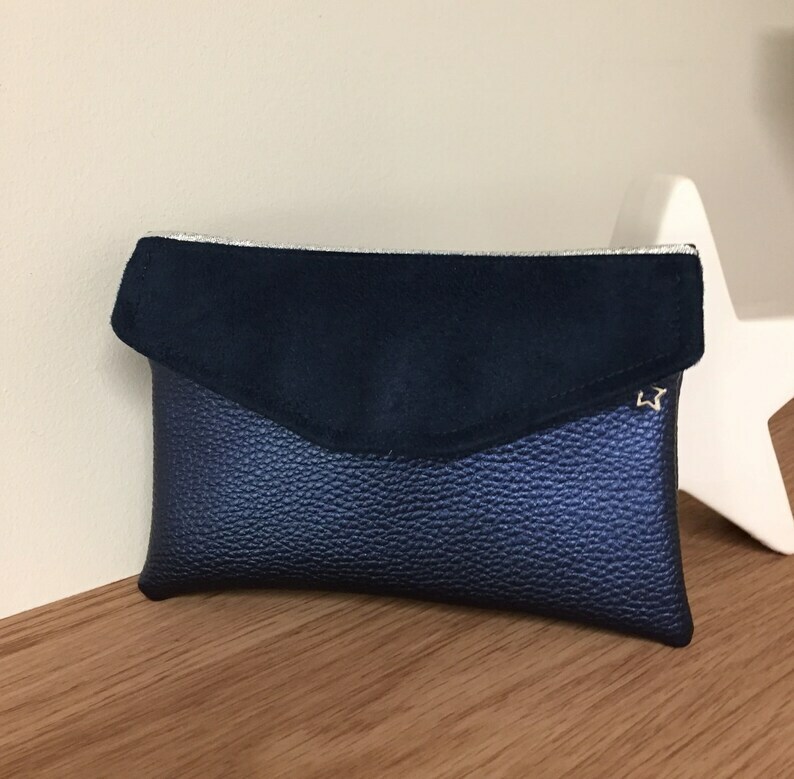 Small bag companion, wallet, wallet, women's purse in iridescent blue imitation leather and navy blue suede. This companion is equipped with two compartments, one of which is zipped, to slip your change in for example.... Passport, ID and other documents will find their place on the back of the zipped pocket. This accessory closes with a navy blue suede flap with a silver magnetic clasp, enhanced by a thin silver border. Its dimensions: width 17 cm, height 12 cm, zip of 15 cm. The finishes of this item are very careful and, as a professional, I offer you "the satisfied or refunded guarantee"! You will receive it with a tracking of the package, nicely packaged and well protected, ready to offer!